Aurobindo Ghose (Sri Aurobindo) had his first poem published at age ten; at age twelve young Mira Alfassa (the Mother) was already doing portraits and had her first exhibition at age fourteen—so in the roots of our path of Integral Yoga are the arts. Fifty years ago the name Matagiri, Mother’s Mountain, was given. Co-founder Sam Spanier was an actor and artist, Eric Hughes was a playwright, and Lee Brooks a jewelry and fashion designer. Matagiri is located just outside of Woodstock, NY, an artist colony. Our time together at AUM 2018 will allow us to explore the arts as a bridge to our inner life through the expressive arts, mask making, music, storytelling, and dance. 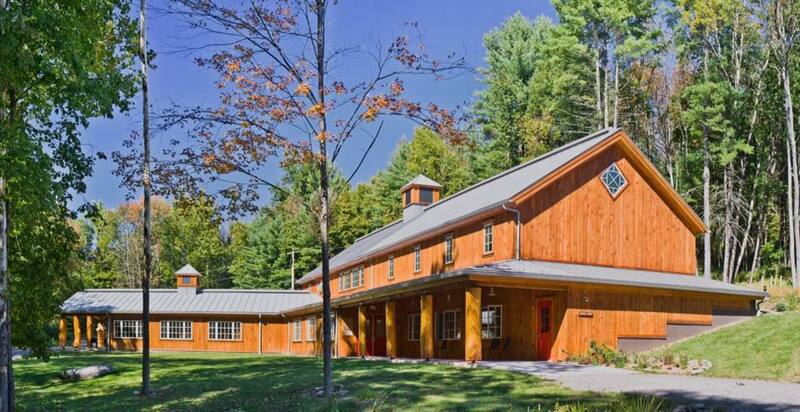 For more information about The Ashokan Center, visit their website. Car: New York State Thruway Exit 19 coming from New York, Exit 20 coming from Albany. Bus: Trailways offers daily bus service to Woodstock and Mount Tremper. Air: Albany (ALB) and Stewart (SWF) are the closest airports, followed by Newark (EWR), White Plains (HPN), LaGuardia (LAG), and JFK. Car rentals are available at each. Where possible we will pick up clusters of participants. Train: Amtrak service is to Rhinecliff (RHI), but the bus is easier. FINANCIAL AID IS AVAILABLE. Please email info@matagiri.org. For further information, send email to info@matagiri.org.